What better way to express ourselves to God than through music. 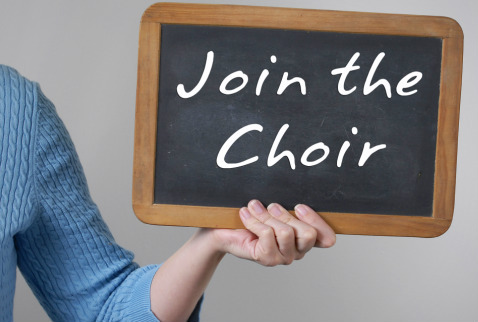 There are many wonderful opportunities at Charleston Wesley UMC to do just that by becoming a member of one of our music ensembles. 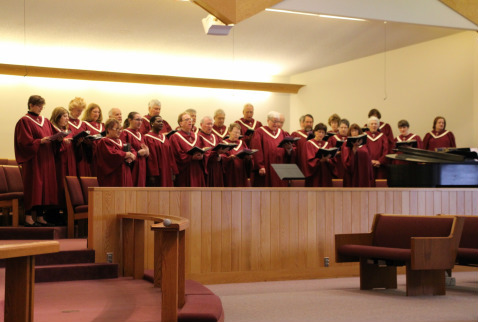 The Chancel Choir is the foundation of the music ministry at Wesley This group of over forty singers sings the first three Sundays of every month at the 8:30a worship service and the 1st and 3rd Sundays during the 10:45a service. You don't have to be the most experienced singer to sing with our choir; as an ensemble we work together to make a combined joyful noise. If you are sitting in a pew every Sunday thinking to yourself how much you would like to be in the choir loft singing with us, we encourage you to give it a try and see if it is a good fit for you. 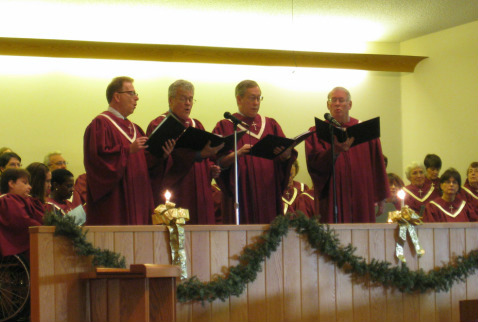 Chancel Choir rehearsal is held on Wednesdays, from 7:00-8:15p in the choir room from September to June. All are welcome at our rehearsals! If you would like more infomation e-mail Michael here.